WedriveIndia is a full-service tour & travel agency in Jaipur Rajasthan that was established with the aim of creating tailor-made, luxury holidays and unrivalled journeys. Actually, it isn't about us. It's about listening to what you want and then creating an individual holiday, just for you. It's about using our expert knowledge of holiday destinations and our network of friends across the India to make sure reality exceeds your expectations. WedriveIndia was established in 2010 by Mr. Ratan (Director of the Company), who has over 15 years experience in tour planning and organizing. He basically belongs with a farmer's family and started his career as a car driver and made a good impression on his clients. Than after he had been promoted as a travel consultant. He has started his own company in 2010 and got very good success just in 3 years with his hard work and planning methods. Still he welcomes all clients directly and manages all necessary things like water, pick-up, drop, hotel and other services personally. Ever since the company was established in 2010, We Drive India has concentrated its efforts in producing quality travel, responding to the needs of the times while anticipating the demands of the future. We use our diversity in and out of the travel industry to address various global concerns. By planning and organizing events, we address current issues such as the environment and international relations. We narrow the gap of misunderstanding between people by promoting international business and cultural exchanges and by serving as a major source of information. We have a great team of professional drivers and travel guides, who will make your trip full enjoyable. The experience of our teams makes all the difference to planning your ultimate journey. Every team member is a true travel enthusiast. Each has the training and expertise in the travel industry to make journey planning a joy. We are committed to offering the highest quality travel services, combining our energy and enthusiasm, with years of experience. Our greatest satisfaction comes in serving large numbers of satisfied clients who have experienced the joys and inspiration of travel. Continually providing a vast array of innovative ideas and quality services, We Drive commits itself as a leader in Indian travel agencies. Our dream is to take We Drive Company beyond the normal stereotypes of travel agents in the region and our efforts so far have been materializing with unmatched successes. 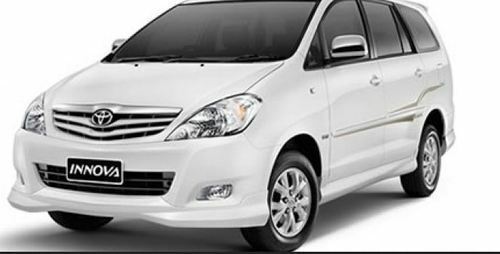 At WedriveIndia, it is our policy to provide a first-rate personalized service to all of our clients from the initial enquiry stages, to the completion of the tour. We pride ourselves on providing a service with a personal touch that tailors each and every vacation to your own specific tastes, needs and budget.